This spacious and homely apartment is located in the centre of Barcelona, just a short walk from Plaça Espanya. This area of Barcelona is well connected by public transport, meaning you´ll be able to reach the rest of the city and beyond in minutes, leaving many of the cities top attractions at your fingertips. The apartment itself has 3 bedrooms and 1 bathroom. Prepare your meals in the comfort of your own fully equipped kitchen and enjoy them on this apartment’s private balcony. This apartment is also equipped with a TV and a washing machine for total convenience. 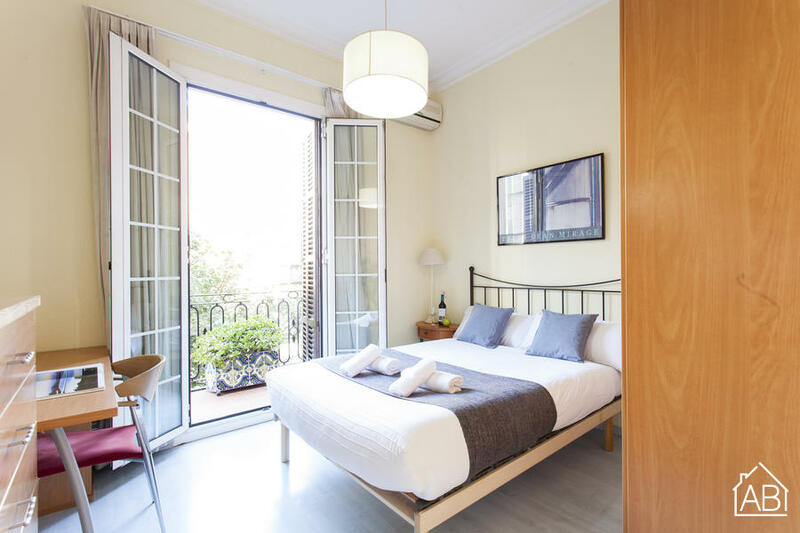 Complete with air conditioning and heating, this homely Barcelona apartment is the perfect place to stay in the city.